Baby Self-Soothing Tips & Creating a Safe Environment For Babies. Remove all soft bedding and other soft items from the crib before placing a baby to sleep. Always place your baby to sleep on his or her back to reduce the risk of SIDS. 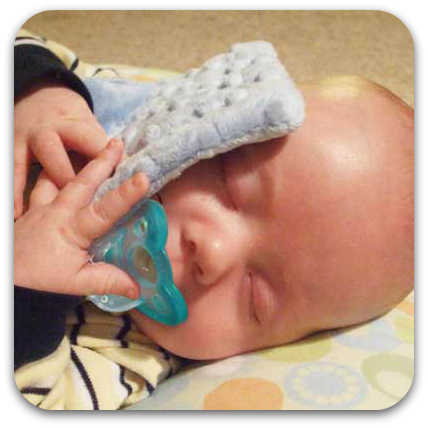 Offer a pacifier at nap-time and bed-time throughout the first year of life.